Great opportunity to buy corporate profitable Spice Merchants Franchise stores. 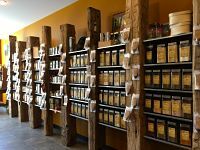 Spice & Tea Merchants opened its first location in Saugatuck, Michigan in 2003. It became an instant success, and founder, Lisa Freeman, opened several other stores with 5 years of the company’s inception. The company franchised in 2010 and today, Spice & Tea Merchants has nationwide locations offering fresh spices, spice blends, loose-leaf teas, related hard goods, and gift boxes. Freeman believes the success behind the company is due to three factors; low cost to operate/high margins, strong marketing concept, and quality of products sold. There are currently three corporate-owned Michigan stores available for purchase as franchise locations; Saugatuck (2003), Grand Rapids (2013), and Ann Arbor (2008). All three stores are turn-key and have been profitable since open date indicated. Two weeks of operational & sales training will be included in the purchase of a store, and the sale price includes some furniture/fixtures, and the franchise fee. Prices start at $130,000 per store; please contact seller for sale price on specific store location. There are no current competitors in the market where these stores operate, and there is growth potential with each store, especially in an owner-operated environment. Spice Merchants franchised in 2010 and there are currently 9 franchise stores in operation across the US, in addition to five corporate stores. The company maintains a strong competitive edge by offering products that are fresh, organic, gluten-free, non-GMO, and of higher quality than that available from competitors or grocery stores. 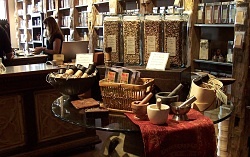 The marketing concept offers an “apothecary” old-world feel which is comfortable and inviting to customers, and the aroma upon entering a store is an experience one can only understand by visiting a store in person. Price points are affordable for customers, yet margins are strong, allowing for minimal financial investment with high return. To find our more about Spice Merchants Stores, and contact the seller, Please fill out the form below and submit.